Hello. 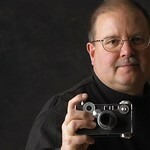 I'm Dave Aupperlee and welcome to PhotoAup Photography. Photography is my lifelong passion. I have had some sort of camera in my hands for a good portion of my waking hours since the age of 10. My dad and uncle, avid photographers, passed on a good bit of photographic know-how to me. My grandfather and his father created images as well, albeit with brush, oil paints, and canvas. My kids all have cameras and have contributed gigabytes of photos to apartment walls, social networking pages, blogs, and even newspapers. It's a family thing. I have always approached my personal photography and professional assignments as a story teller: Capturing the moments before, during, and after the main event. My environmental and wildlife work is always an attempt to lead the viewer outside of the frame of the viewfinder, leaving them with a sense of wonder and perhaps a motivation to do some exploring of our natural world on their own. I hope you enjoy the images presented here. Check back often as this will be a work in progress.